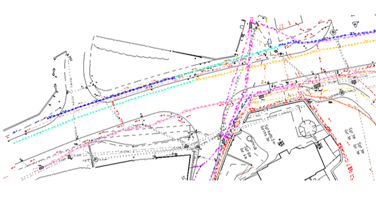 Underground Utility Mapping Surveys involves the detection, location and identification of underground utility services. These can include (but are not limited to) electric, gas, telecommunications, water, fibre optics, traffic signals, sewer lines, drainage, oil & fuel pipelines. 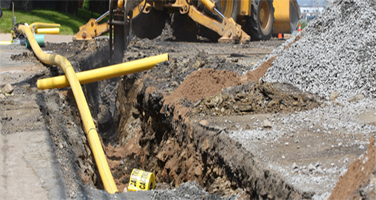 Charter Oaks Ltd offers a wide range of services aimed at the detection, mapping and avoidance of underground utilities. Our Surveys can be undertaken in accordance with current guidelines including PAS 128. 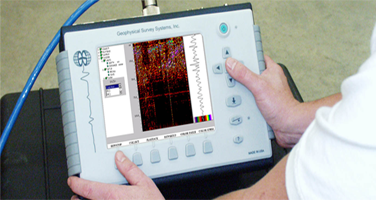 Please note that many factors can affect the accuracy of the GPR system, including, without limitation, soil and other environmental conditions, electronic and radio signal interference and surface depth of pipe or cable to be locate. As such, Charter Oaks Ltd assumes no liability for the overall accuracy of the survey equipment and/or any maps prepared using the different types of equipment.